Spectroscopic ellipsometry (SE) is a well-established optical technique for the characterization of bulk materials, thin films, coatings, both surface and embedded layers. The wavelength range implemented with such technique is always application dependent. The infrared (IR) wavelength range is of much interest since materials exhibit behavior which are very different from those observed in the ultra-violet(UV) and visible wavelength ranges. 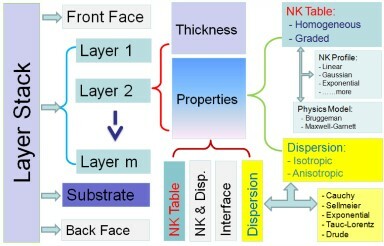 For example, most non-doped semiconductors are transparent; dielectrics have characteristic absorption bonds; metals or doped semiconductors exhibit Drude absorption tails etc. 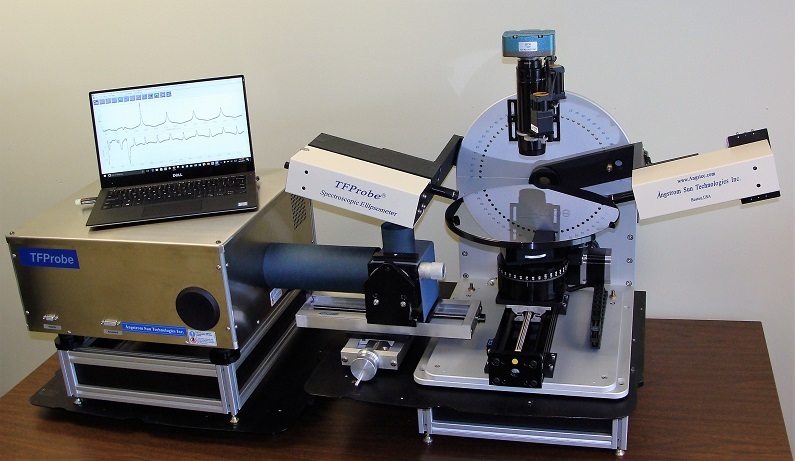 Therefore, InfraRed Spectroscopic Ellipsometry (IRSE) allows to characterize for structural (thickness, interface, surface roughness, contamination), optical (optical constants), electrical (conductivity) and also chemical information of materials. Calculate the carbon content (% C). SiOC:H: carbon content and porosity. Porous SiO2: thickness, porosity, water content. SOI Optical Waveguides: thickness measurements. 1. System configuration and Specifications subject to change without notice. 4. TFProbe is registered trademark of Angstrom Sun Technologies Inc. Address: Angstrom Sun Technologies Inc.